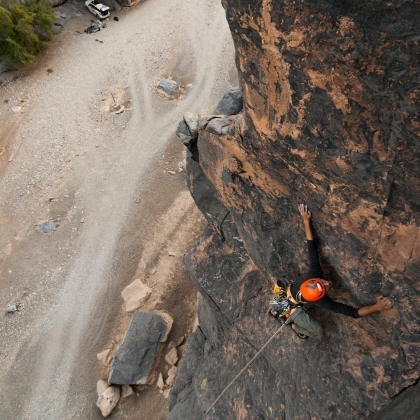 There is very limited information about the climbing in this wadi. There are a few bolted routes but mostly trad climbing, up to 3 pitches with generally simple descents. Camping here is easy making the approach to most of the climbing between 1 and 10 minutes. 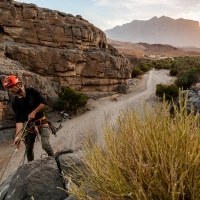 Although not drinkable, relatively clean running water from the pools further up the wadi makes this spot a particularly convenient and comfortable place to camp and explore the mostly undocumented surrounding climbs. Don't hesitate to ask him/her some tips, he/she is awesome.